There have been 752 new listings (reisdential, condo/townhouse and multi-family) in the CSAR MLS system this year as of June 30th. This is a decrease of 6.4% over last year but the average sales price is up 15.9% year-to-date. The average sales price for a home in our two counties was $108,092 and the median sales price was $88,892 both increases over this time last year showing an increase in home values. Closed sales so far in 2018 are 406, a slight decrease from 2017 year-to-date but the sales volume (cost) increased slightly. Be sure to contact your local REALTOR for informaiton about your area. They are the best source of local home values because all real estate is local and they can provide you will a custom report of your home's value. All data is provided by RPR through the Cambria Somerset Association of REALTORS and is deemed acurate but is not guaranteed. 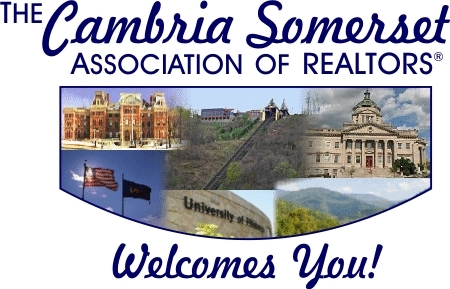 The Cambria Somerset Association of REALTORS® is the voice for real estate in Cambria and Somerset Counties.